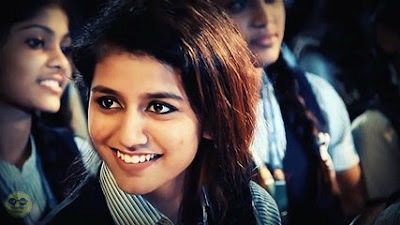 Priya Prakash Varrier also known as "Wink Girl" is a Malayalam actress, who got fame after her music video (MANIKYA MALARAYA POOVI). This music video was of her debut film (ORU ADAAR LOVE). She became extremely popular after the teaser of her debut film. The teaser was uploaded on 13 Feb 2018, just one day before Valentine Day. So single boys start uploading memes and videos about her. That's why she became extremely popular on Internet. 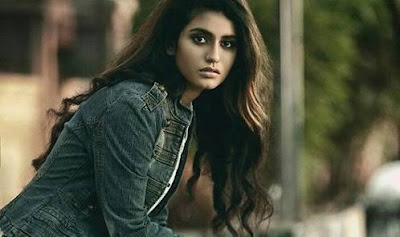 Priya was born on 28 October 1999 in Punkunnam, Thrissur, Kerla. She started learning classical dance at a very raw age. Since her childhood she always dreamt to become a popular star. The expressions of her face helped her in achieving her dream. Acting and face expressions made her music video (MANIKYA MALARAYA POOVI) Viral on Social Media. MANIKYA MALARAYA POOVI has 69 Million views on YouTube. She also became an Instagram celebrity. She also had 6 Million Followers (as of 7 May 2018) on Instagram. Height (approx.) - 163 cm OR 5' 4"
who is an employee of Central Department . 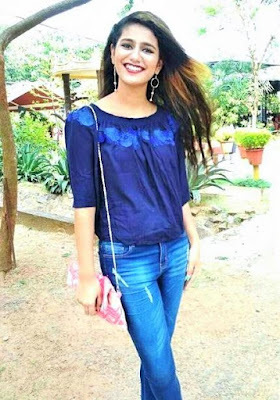 Her mother (Preetha Varrier) is a housewife. 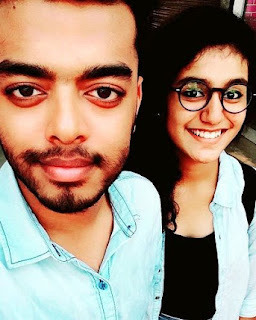 She has a younger brother Prasiddh Varier. There was a rumour that she is dating Hrishikesh Saji. She is currently doing graduation which is B. Com. from Vimala College, Thrissur. in Nee Vaanam Naan Mazhal, which is a Tamil music video. Her favourite song is Channa Mereya (Arijit's song) from the film AE DIL HAI MUSHKIL (2016). Her favourite actors are Ranveer Singh & Shah Rukh Khan. Her favourite actress is Deepika Padukone. Her favourite actor in Tamil Cinema is Vijay Setpathi. She also want to work with him. Her favourite Film Director is Sanjay Leela Bhansali and she also want to work with him in Bollywood. Her favourite Cricketor is M.S Dhoni. She loves to dance Mohinlyattam. There is a controvery related to her. On 14 Feb 2018 , a Hyderabad based business man Zaheer Ali Khan lodged a FIR against the directors and producers of this film (Oru Adaar Love). According to him that song hurts the religious beliefs of Muslims.